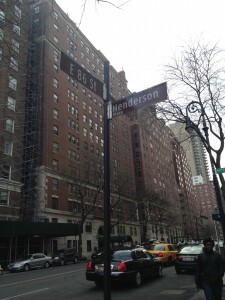 Henderson Place Historic District sign on E. 86th St. I can’t even count the number of times I’ve walked past these buildings on E. 87th or East End and wondered what relic they were… and then I spotted the sign above. I finally had a name to research. And what better time to do so then on the brink of celebrating the 50th anniversary of the New York City landmarks law. Although not the oldest in the neighborhood (Gracie Mansion was built in 1799), they’re certainly the most picturesque. Built in Queen Anne style in 1881-2, twenty four of the original thirty two houses remain. They were landmarked in 1969. 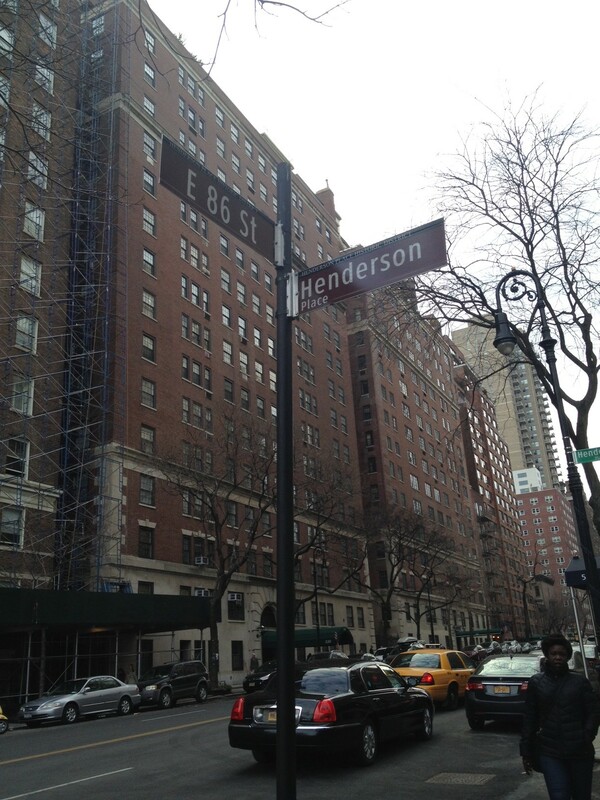 The houses are named after John C. Henderson and were designed by Lamb & Rich. Sometimes called “dollhouse architecture“, they were built for people of “modest means” although they soon became home to some of Manhattan’s upper class families. Their history, like the architecture, is fascinating. I’ve apparently added more small historic blocks to my NYC bucket list.